The jail breaking process of recent iOS 8 has already started by the Pangu, along with Evasion. 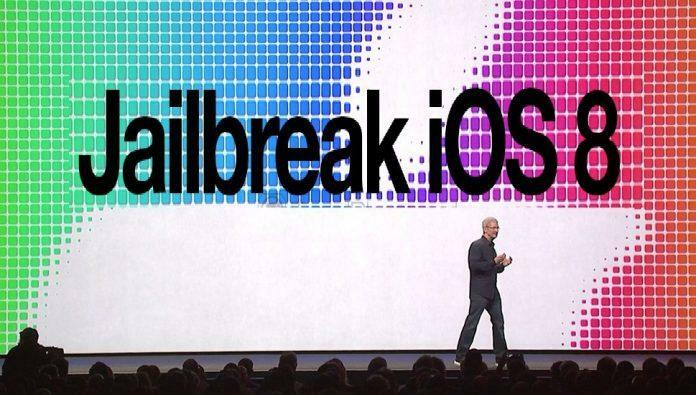 Presently there is no Jailbreak out from Pangu or evasion, but it was reported that the process of jail break iOS8 is already started. Recently Pangu gave an update on its progress: “Just 1 day before iOS 8 official release, guess that devices except iPhone 4 can’t be restored with 7.1.2 firmware. If you want to jailbreak please grab the last moment. For iOS 8, we are already on the way,” the team said, according to Cult of Mac. To be updated with the news on future jailbreaks, you can follow the well-known jail breakers such as @evad3rs,@panguteam, and @musclenerd on Twitter. There are many fake news were out regarding the iOS 8 Jailbreak and many sites started pretending to offer Jailbreak iOS 8in exchange for surveys and bitcoins. If you feel the need to update anyway, remember that it will be a one-way trip to iOS 8, and there might not be a jailbreak available for iOS 8 for a long time. You will not be able to downgrade or restore to iOS 7 after upgrading to iOS 8. Apple usually closes the update window for the old iOS version very soon after releasing the new version within hours. It should be noted that a jailbroken device can’t update a iOS 8 through OTA update. It has to done manually through itunes, using “Restore option”. Download the iOS 8 manually from Redmondpie and Pressing “SHIFT KEY”, click on the restore option in iTunes and select the externally downloaded iOS 8 and click update. Before doing with the process make a backup into your computer/Mac. There are many bugs and issues reported in iOS 8, have a peek on the issues before updating to iOS 8 or wait for the stable release from apple. Follow our jailbreaking process of iOS 7.1.X and Process of getting free coins for playing games and in-app Purchases in iOS devices. For any issues and Support, please do share your comments and like us on our Facebook page. Previous articleApple iPhone 6 and iPhone 6 plus doesn’t have Sapphire glass: Why?